Water supplies have been hit to homes in Great Barr as engineers work to make repairs to burst mains. Customers have been told to expect low pressure supplies or no water at all due to three bursts. Motorists were urged to avoid Chapel Lane after a main burst shooting water into the air. Drivers faced rising flood water on Tuesday morning and the lane has remained partially closed ever since. Giant plumes of water were filmed on the well-used route heading towards Barr Beacon by Coronation Road. The closure has also led to disruption on Birmingham Road near to junction 7 of the M6. 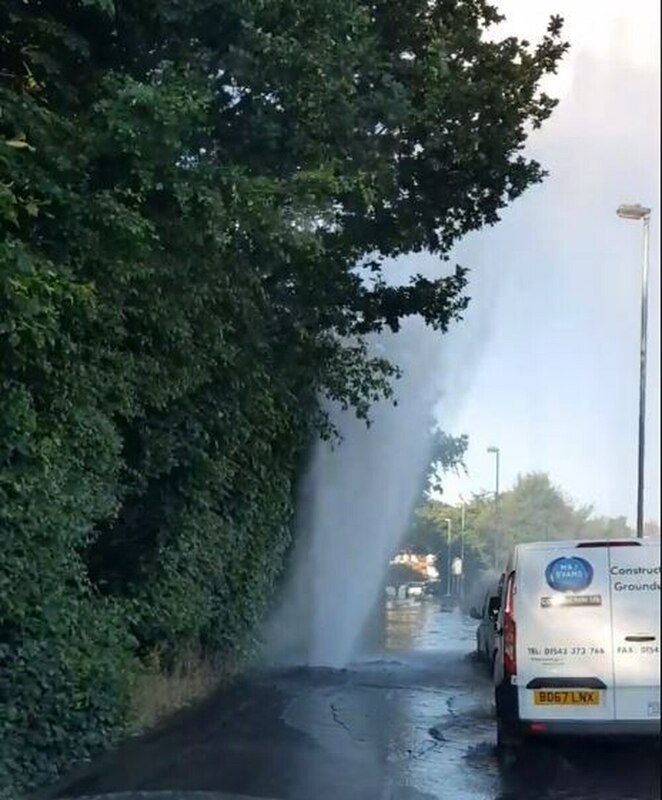 South Staffs Water confirmed it was also dealing with a burst main on Birmingham Road and Beechwood Road on the Whitecrest estate. Engineers have been working on repairs. A spokesperson said: "Customers may experience no supply or low pressure. "We apologise for the inconvenience and we are working to resolve these issues as soon as possible. Following restoration of the water supply in the Great Barr area you may experience yellow or brown water. Please run your cold kitchen tap for 20 minutes and this should clear."